The EWCL Monarch team project goal was to support planting of milkweed and nectar-producing plants along the central flyway to help monarch butterflies survive their migration – and ultimately thrive as a species. The migration route for the eastern population of the monarch butterfly ranges from the Texas border with Mexico northward to Minnesota. This imperiled, international species is dwindling, particularly due to loss of milkweed plants along their migration route. Milkweed serves as the sole food source for monarch caterpillars and is important for adults to feed on during their migration. The first part of the project was to partner with the National Wildlife Federation (NWF) to recruit cities to sign their Mayors’ Monarch Pledge — an initiative where mayors commit to taking specific conservation actions in their community. These actions range from issuing a proclamation to changing mowing practices to creating a demonstration butterfly garden at city hall. The EWCL team committed to recruiting twelve municipalities in the Midwest, focusing on states critically important to the monarch migration but where NWF has limited resources, including Minnesota, Iowa, Illinois and Wisconsin. The second part of the project aimed to increase coordination among the many groups and institutions already working on monarch conservation. In response to feedback gathered from stakeholders, we sought to create an interactive, web-based “PowerMap” resource with the support of the U. S. Fish and Wildlife Service (USFWS) and the Monarch Joint Venture that could connect groups working toward a common goal. The PowerMap identifies stakeholders and key players in monarch habitat conservation along the central flyway. It would help municipalities and others identify who in their region is already working on monarch conservation, where to buy milkweed, what academic institutions in their region could give presentations to citizens, what local nonprofits have experience with monarch butterfly conservation, and many other applications. With the help of SeaWorld & Busch Gardens Conservation Fund, the team also committed to establishing a ‘EWCL Take Flight Fund’ to take its support of municipalities a step further – using the seed money literally as seed money for cities to jumpstart their milkweed planting efforts. These funds would go toward milkweed plant purchases and result in creation and restoration of milkweed habitat. In order to support both municipalities who have committed to monarch conservation as well as others working in the field, the EWCL Monarch team aimed to provide a resource outlining state and local entities already committed to monarch butterfly conservation. With the support of SeaWorld, the team created a web-based “Monarch PowerMap” along the central flyway for the monarch butterfly to better help raise awareness of monarch conservation efforts and facilitate connections among entities involved in monarch work. The tool may be used by government agencies or other entities who may wish to identify monarch allies in order to build a coalition for conservation activities. This map will be hosted on the website of Monarch Joint Venture – a partnership of more than 50 conservation, education, and research partners from across the United States are working together to conserve the monarch migration (https://monarchjointventure.org/our-work/monarch-conservation-efforts-map). 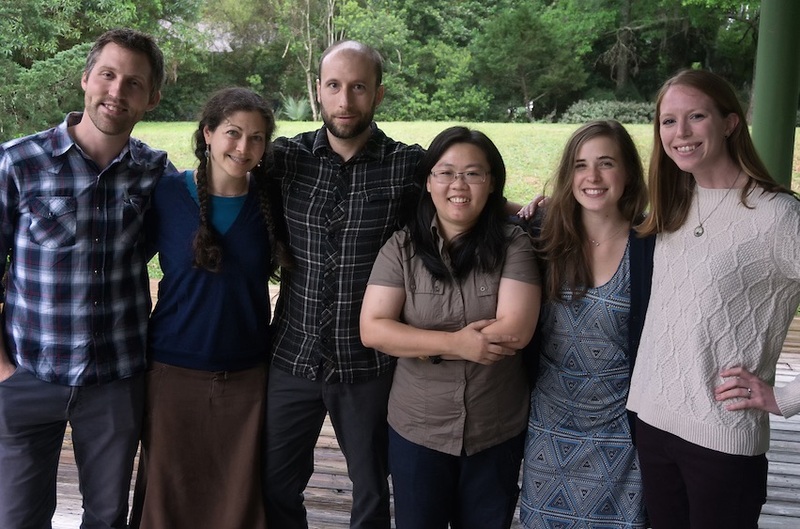 The team gathered information for the PowerMap’s database via surveys, outreach and presentations in the Midwest, and worked with the Monarch Joint Venture to refine the tool so it would be most useful to the goals of the monarch community. Currently, the PowerMap’s database contains approximately 550 conservation groups, research projects, educational institutions and other stakeholders. The EWCL team presented the Monarch PowerMap at the Annual Meeting of the Monarch Joint Venture in November 2016, where it was enthusiastically received by experts in the monarch conservation field as a potentially very useful tool for monarch collaborations going forward. The EWCL Monarch team aimed to reach out to at least five target mayors in each of the following states: Texas, Oklahoma, Kansas, Missouri, Iowa, Illinois, Minnesota and Wisconsin; secure commitments from at least 12 cities to sign the Mayors’ Monarchs Pledge, including at least 2 each in Iowa, Illinois, Minnesota and Wisconsin where NWF currently has limited capacity. The team is pleased to report that it surpassed its goal and recruited 17 cities to sign the Mayors’ Monarch Pledge. This effort required outreach by the EWCL team to more than 1,000 cities in the target region. The EWCL team significantly helped in states where NWF had limited capacity by signing up 2 cities in Illinois, 9 in Minnesota, 5 in Iowa and 1 in Wisconsin. The cities signed up to take the Mayors’ Monarch Pledge are all entered into NWF’s database of cities (now more than 200+ and growing). Going forward, cities will be required to submit progress reports, and NWF’s community habitat team will measure progress. The team’s objective was to support at least 12 cities participating in the Mayors Monarch Pledge with “EWCL Take Flight Fund” seed grants to support direct habitat conservation in their city, up to $500 for each city. To do this, the EWCL team created a simple application for cities to complete requesting these funds and developed criteria for selection, including size of the commitment to plant milkweed and opportunities to leverage capacity of the city to successfully implement their pledge. With the support from a SeaWorld & Busch Gardens Conservation Fund grant, the team was able to provide milkweed to 42 cities in the central flyway. These cities are all Mayors’ Monarch Pledge Recipients and completed an application requesting milkweed to fulfill their pledge requirements. Milkweed will be sourced from Monarch Watch’s Milkweed Market, and come in a flat containing 32 milkweed plants. Each flat will support planting of one acre of a restoration project or planting in a 100-square foot community garden. The cities who will be receiving milkweed in Spring of 2017, and their intended use is below. The EWCL team worked with NWF to utilize their platforms (including list serves and social media) to raise awareness about EWCL and the opportunity to receive free milkweed via the EWCL Take Flight Fund. Once spring planting occurs from the milkweed provided by EWCL and SeaWorld, the team will provide NWF with success stories to share. Plant milkweed and native nectar plants in medians and public rights-of-way. Undergo a monarch habitat restoration project at Wall Farrar Nature Park in an upland meadow rich in native prairie grasses but lacking pollinator plants. Plant the milkweed along the banks of the Mississippi River. Plant milkweed in a butterfly demonstration garden located inside the TownCenter park. Will plant species that attract the Monarch butterfly at all city building and parks. Milkweed will be planted at prairie restoration sites, including Clinton Park, Hobart Taylor Park and Stuart Park. Plant the milkweed in several town-owned parks that don’t currently have milkweed, but do have other native nectar producing plants. The milkweed will be planted in the native plant demonstration garden at the biodiversity education center at coppell nature park. We intent to use the plants to create a demonstration garden (Monarch Butterfly Waystation) at Millennium Park (public park) in Creve Coeur. Will add milkweed and nectar producing plants in community gardens. The milkweed will be planted in our newly created Monarch butterfly garden in our city park— Hawk Ridge Park. The 1acre park site is dedicated to the monarchs for viewing by residents and visitors. Will plant a monarch-friendly demonstration garden at City Hall or another prominent location. We have an area adjacent to Lake Springfield that will become our second official Monarch Waystation. We are also going to plant a butterfly garden near the Municipal Building in Downtown Springfield. Will partner with community garden groups to plant native milkweeds and nectar-producing plants. Will plant milkweed at the three monarch way stations in our parks. The EWCL team recruited the assistance of a web developer to create the online PowerMap tool and negotiated with the Monarch Joint Venture to host and maintain the tool after the conclusion of the EWCL session. Thanks to funds from the SeaWorld Busch Gardens Conservation Fund, the software required to create and maintain the PowerMap was purchased and transferred to the Monarch Joint Venture at no cost to them. The database of monarch organizations, research, educators, government agencies, and other partners was compiled by the EWCL team through outreach to key stakeholders, and the map is searchable and sortable as requested by stakeholder groups who will use the tool. 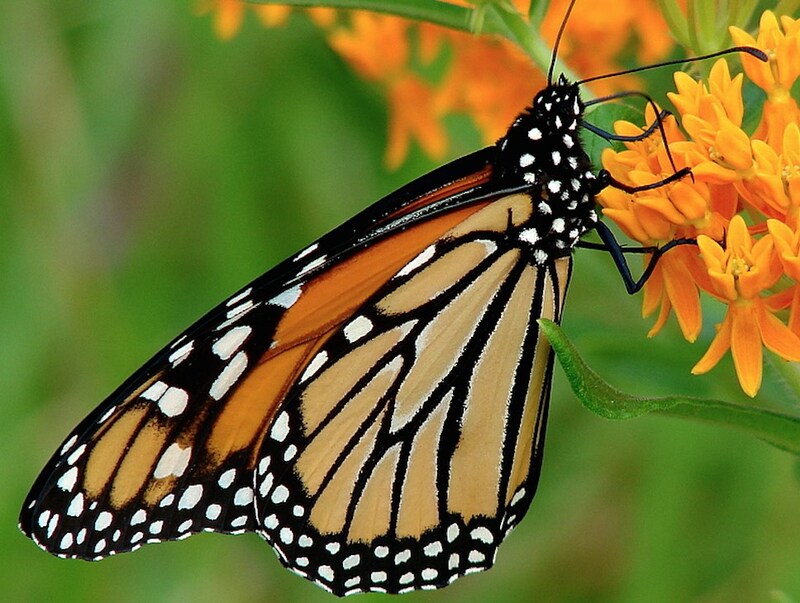 The monarch butterfly is one of the most recognizable species in North America, as well as an important pollinator. These beautiful insects and their amazing migration are in danger, but here is a wide array of opportunities for citizen scientists to make substantial contributions to monarch conservation, from planting habitat to educating others.